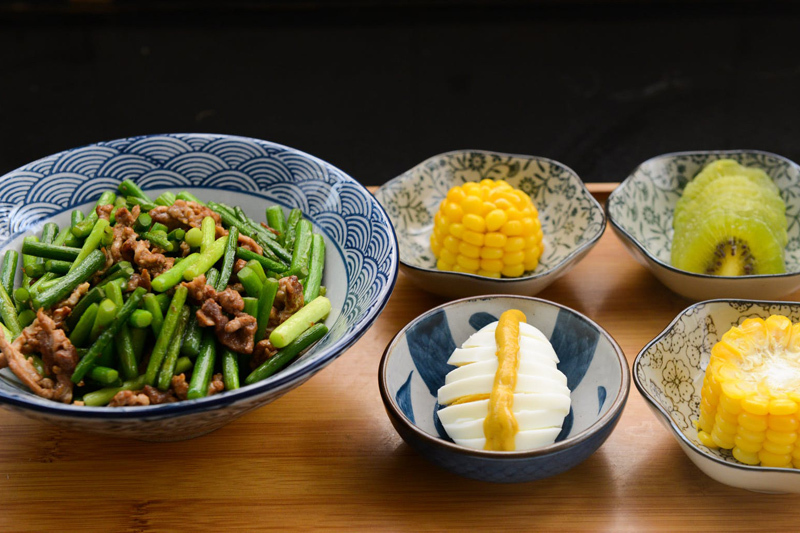 Chinese pickled vegetables are simply a mix of chopped or julienned vegetables that have been marinated in a vinegar based seasoning. These vegetables are great to have on hand especially during the summer months. I often use them in salads and as a topping for burgers and other grilled meats. This recipe uses a simple mix of carrots, radish and cucumbers, however onions, bell peppers and cauliflower also make good vegetables for this mix. Feel free to experiment using any vegetables of your choice. The seasonings in this recipe produce a light, semi sweet tang that can also be changed to suit your tastes as well. Pickling your own vegetables does take a few days. If you don’t have the time to make your own, you can find already made pickled vegetables in most Chinese grocery stores. Though by making your own you can use the type of vegetables as well as vary the strength of the seasoning to your own tastes. Try this pickled vegetable recipe and let me know what you think in the Chinese food forum, enjoy. Peel the carrots and cut off each of the ends and discard them. Then julienne the remaining stalks. The julienne cut produces matchstick sized pieces, however you can also cut them in round thin slices if you prefer. Peel the radish and then julienne this into the same size pieces as the carrots. Remove the seeds from the cucumber and julienne it as well into the same sized pieces as the other vegetables but leave the skin in tact. Once all the vegetables are cut, place them into a large ball jar or a non-metallic bowl. Then in a large cup mix together the seasoned rice vinegar, salt, soy sauce, and sugar until the sugar dissolves. Then pour this pickling mixture over the vegetables and place the lid on the jar. Shake the jar carefully to mix everything together. If using a bowl, stir to mix the pickling juice with the vegetables. Then place this in the refrigerator for 3 days, shaking, or stirring it occasionally. After 3 days it is ready to eat. This mix is delicious on top of sweet black rice as well as in salads, enjoy.